Double happiness at a time! 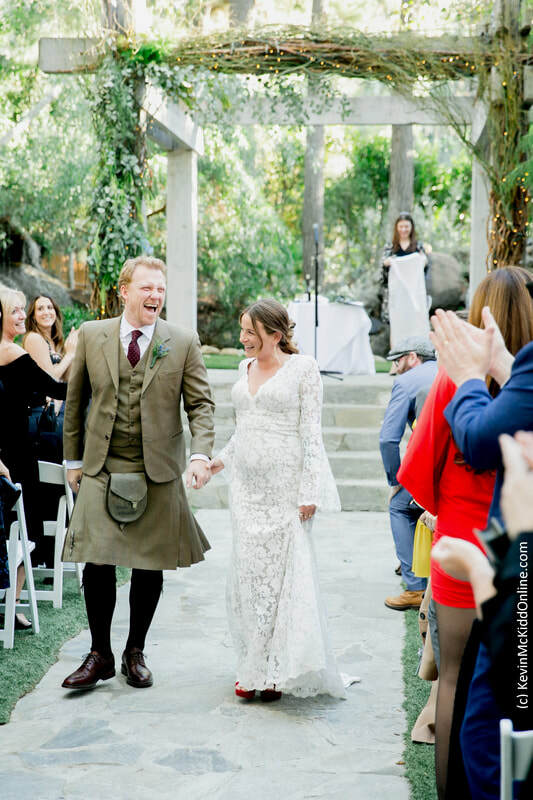 Kevin McKidd is officially married to long-term girlfriend Arielle Goldrath. He further announced that he is also expecting his first child with her now wife. Yes, Arielle is pregnant. The 44-year-old Grey’s Anatomy star took his website on Friday, March 2, to announce these exciting news entitling the post, “Very Happy, Very Big News!”. The post also features a sweet photo of the bride and groom walking down the aisle in front of a wooden altar along with lights and green foliage. The Trainspotting actor was dressed in a traditional kilt, while the Arielle, who is a private chef, wore a stunning lace gown with cape sleeves. Arielle and I are so happy to announce our marriage and new baby, who is soon to join our growing family. Close friends and family came together with my Grey’s family to share in our celebration day – an intimate, low key gathering culminating in a Scottish Ceilidh dance. Kevin also wrote how his children Joseph and Lona with his ex-wife, Jane McKidd, reacted to his news. My kids are happy for us too and are looking forward to the arrival of their newest sibling! Kevin and Jane announced they were ending their relationship with a divorce in 2016 after 17 years of marriage. There’s much to be grateful for and we’re thrilled for the adventures 2018 will bring us all!